When you need plumbing, heating, cooling or electrical services in the Boulder and Denver regions, you can count on the 30 years of expertise and great service you receive from Precision Plumbing. Read more from our tens of thousands of happy customers on this page here, about our Precision Hugs community support here, and about our Precision Guarantee of Great Service here. 1. PUNCTUAL PLUMBING, HVAC & ELECTRICAL: Precision’s technicians can be at your home, on-time, at your convenience. When you need service, you can depend on us to be there. 2. TRUSTED SERVICE FOR 30 YEARS: Our expertise has been trusted by home owners across Boulder and Denver for over thirty years. 3. PROFESSIONAL TECHNICIANS: Be sure of our technical proficiency when you need a plumber, HVAC technician or electrician. We are fully licensed and insured. 4. SAVE MONEY ON YOUR SERVICE: Save with our promotional offers, up-front pricing by the job, and efficient heating, hot water and air conditioning solutions which can help you save on energy costs. 5. 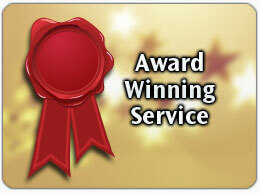 AWARD WINNING SERVICE: Enjoy award winning service. We have been awarded the best for service by our local newspaper 11 years in a row! 6. ALL PLUMBING, HVAC & ELECTRICAL SERVICES: Whatever you need to help keep your home running, we can help. 7. CLEAN-CUT, HELPFUL & FRIENDLY: Be sure of presentable and tidy technicians who will keep your home and work areas clean, and will help answer your questions and meet your needs. For the very best when it comes to service for your home’s plumbing, heating, AC and electrical needs across the Boulder and Denver regions, call Precision Plumbing today.